Explore artificial intelligence vendor companies in heavy industry, including companies in manufacturing, utilities, mining, and more. Description: The Bonsai platform makes adding intelligence to your application simple and intuitive. If you can code then you can leverage Bonsai to build, teach and use AI models to make your applications more automated, adaptive and flexible. No machine learning expertise required. Products: CLI: The Bonsai Command Line Interface (CLI) allows users to integrate the Bonsai AI Engine into their existing tool chain, build process, and 3rd party Integrated Development Environments (IDEs). Web Interface: The Bonsai Web Interface allows programmers to analyze, profile, and manage intelligence models. Inkling: A special purpose AI programming language designed to represent AI in terms of what you want to teach instead of the low level mechanics of how it is learned. The Bonsai AI Engine: The AI Engine abstracts away and automates the low-level mechanics of artificial intelligence. 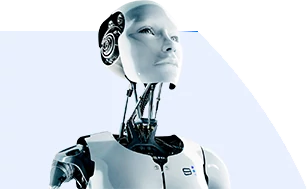 Each Inkling program developed is fed into the Bonsai Artificial Intelligence Engine in order to generate and train appropriate models (referred to as BRAINs). BRAINs: A BRAIN is the compiled and trained intelligence model produced, hosted, and managed within the AI Engine. Each BRAIN is available for ongoing debugging, refinement, and reuse. APIs: Bonsai's HTTP Application Programming Interface (API) enables developers to interact with the Bonsai Artificial Intelligence Engine to create, train, share, and analyze BRAINs. Description: Cloudera delivers the platform for machine learning and advanced analytics built on the latest open source technologies. The world’s leading organizations trust Cloudera to help solve their most challenging business problems with Cloudera Enterprise, the fastest, easiest and most secure data platform available for the modern world. Our customers efficiently capture, store, process and analyze vast amounts of data, empowering them to use advanced analytics to drive business decisions quickly, flexibly and at lower cost than has been possible before. To ensure our customers are successful, we offer comprehensive support, training and professional services. Description: Vectra® Networks automates the hunt for hidden cyber attacks inside campus networks, data centers and the cloud by continuously monitoring internal traffic to detect threats as they unfold. These threats are automatically correlated with host devices that are under attack and unique context about what attackers are doing enables organizations to quickly prevent or mitigate loss. Vectra prioritizes attacks that pose the greatest business risk so organizations can make rapid decisions on where to focus time and resources. The editorial team at Dark Reading recently presented Vectra with the Best of Black Hat 2016 award for Most Innovative Emerging Company. Vectra Networks’ investors include Khosla Ventures, Accel Partners, IA Ventures, AME Cloud Ventures, and DAG Ventures. The company’s headquarters are in San Jose, Calif. Products: Scalable Architecture: The scalable, distributed Vectra architecture enables customers to deploy a combination of physical S-series sensors, virtual sensors (vSensors) and X-series appliances across multiple locations for unified analysis, detection and correlation of threats. X-series appliances: Vectra X-series software can be ordered preloaded on a full-depth rack-mountable appliance that scales to accommodate the largest networks. The X-series is deployable in three modes -- Brain, Sensor or Mixed. In Brain mode, the X-series only receives metadata from one or more sensors. In Sensor mode, the X-series ingests traffic, extracts metadata and forwards it to another Brain or Mixed-mode X-series for processing. In Mixed mode, the X-series performs both Brain and Sensor functions. Physical S-series sensors: Vectra S-series sensors are easily deployed at remote sites or with access switches on internal network segments to extend the reach of your Vectra deployment. These small, dedicated devices passively monitor network traffic, extract critical metadata and forward it to the Brain for analysis and attack detection. Virtual sensors: Vectra vSensors running in VMware ESXi make it easy to extend threat detection coverage across the physical network and into virtualized data centers. Connect vSensors to any VMware vSwitch in the data center for visibility into all traffic and to detect threats that pass between workloads. Vectra also integrates with VMware vCenter for an authoritative, always up-to-date view of the virtual environment.